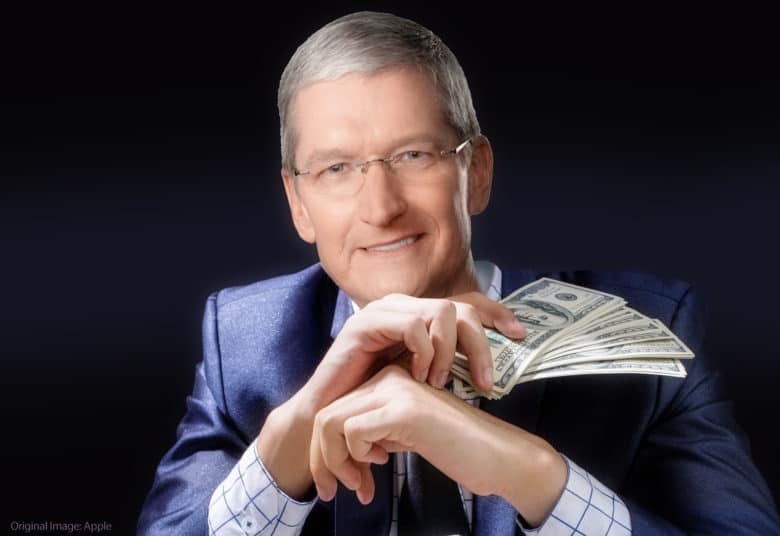 Tim Cook took home a tidy paycheck in 2018. Tim Cook took home $15.7 million in compensation for his role as Apple CEO in fiscal 2018, a 22 percent raise on his earnings the previous year. The figure is approximately 283x the median Apple employee’s pay, which stood at $55,426. That average is more than Amazon’s $30,000 median, but significantly lower than Facebook’s $240,430 and Alphabet’s $197,000. These figures were revealed in a security filing made this week. Cook’s rise in salary is largely thanks to a $12 million cash bonus, based on Apple hitting financial targets set by the board. It’s worth noting that fiscal 2018 ended in September, before Apple’s stock started to crater in October after hitting a high earlier that month. Fiscal 2018 was the year in which Apple surpassed $1 trillion in valuation, becoming the first public company in history to hit that benchmark. The disparity between Apple and Amazon’s median wages with Facebook and Alphabet’s has nothing to do with not paying competitive wages. All four companies likely pay comparable wages for roles like engineers (otherwise they wouldn’t be able to secure top talents.) In the case of Apple and Amazon, however, they also employ retail staff (in Apple’s case) and warehouse workers (in Amazon’s), who substantially reduce the median salary. While few people are likely to be worried about the plight of Tim Cook, the real earnings disparity may be between himself and the CEOs of Amazon and Facebook, both of whom are company founders. Cook’s net worth is reportedly in the region of $640 million, compared with $56 billion for Facebook’s Mark Zuckerberg more than $160 billion for Amazon’s Jef Bezos. Tim Cook has talked about how how plans to give away his fortune after paying his nephew’s college tuition fees.